For me, the phrase “exchanges” far too transactional, so for the sake of this lesson, let’s change “exchanges” to RELATIONSHIPS. Marketing is all about relationships. Making them, keeping them and growing them. Far too often, I hear people talk about marketing and advertising as one in the same, which is incorrect. Promotion, content marketing, PR, social media marketing and email marketing all fall under the marketing umbrella. There is no right or wrong way to approach marketing, but know that the pathway to sales starts by respecting the steps to get there – awareness, communication, connection, service…then sales. 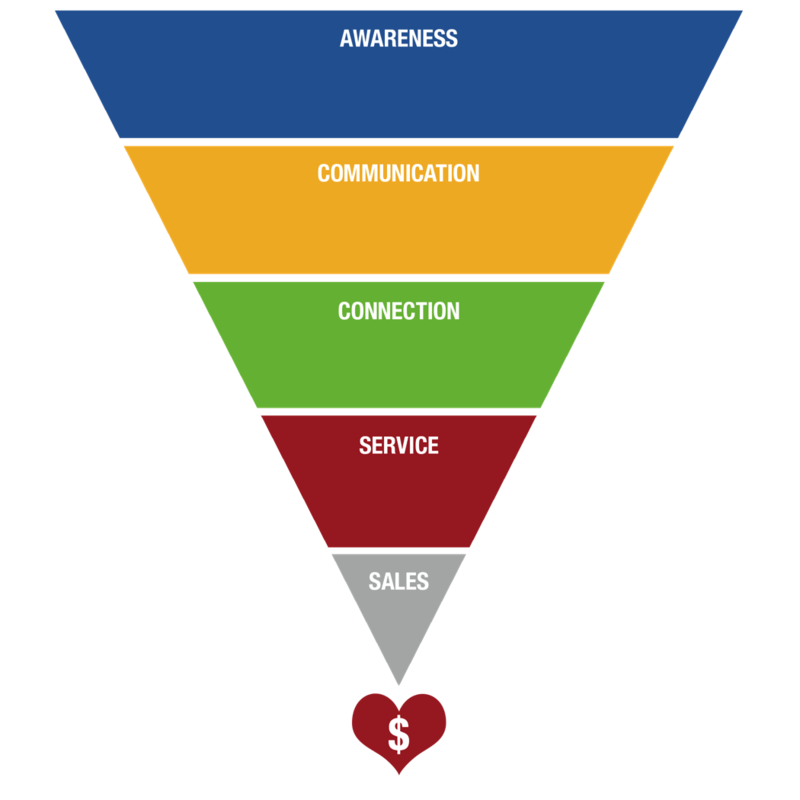 Note: sometimes your current and prospective customers go up and down the funnel a few times before they buy! Credbility is about getting people (current and prospective customers) to know, like and trust you. Your brand, image, photos, content, having updated social media profiles, press and testimonials are all part of this formula. One of the biggest opportunities you have to boost credibility (which also boosts sellability) is to tell your story. People are more likely to trust a you and your company and support it when they know who is behind it – why they created the company, knowing your values, passion and purpose. Usability is how easily usable your marketing assets are. Making sure your website is responsive (meaning it automatically adapts to all devices, web, tablet, mobile) for ease of use is an example. Having clear call to actions (Learn more, shop now, or in a video or blog post guiding people to take action) are also examples. If you want to build your email list, make the email signup accessible. Visibility is the area of this framework where it’s most common to get overwhelmed. The reason I put it after credibility and usability is to make sure that before you go out guns blazing trying to build awareness, that you are driving people to an on-brand and on-purpose place. Visibility includes search engine optimization, social media marketing, email marketing, PR and paid advertising. If you have an optimized marketing foundation, building awareness to your target market via meaningful marketing will help you and your organization stand out. To build awareness in a meaningful way, voice your value and values via content (like I am doing here! Sharing is caring!) Do what feels right for you – this could be blog posts, emails, videos, images, Facebook lives, social media posts. When you are passionate about what you do, you have a powerful edge – you have more soul than a big box company so the authentic voice of you and your brand can come through via content and create very powerful connections. Sellability is about helping people know why you are the person and brand to work with – all three factors above support this to equal building and growing meaningful customer relationships. Reviews support sellability as does staying out there and in front of your customer. Know your worth, OWN YOUR WORTH! You don’t need a big budget to do this – there are so many low and no cost digital marketing options available. The last piece – scalability is about investing to scale. Look at scalability as a good stock – small steps over time compound to make a big difference. Don’t spend on marketing – invest! 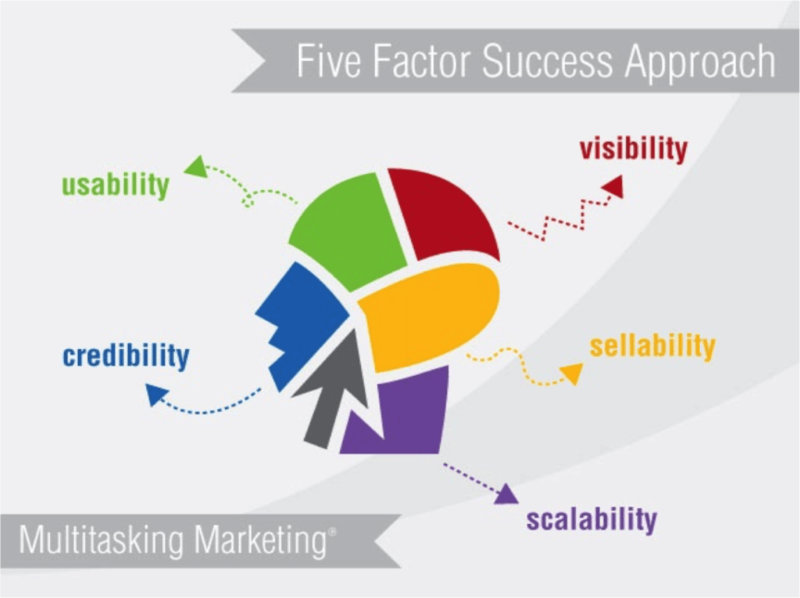 Writing this blog post wasn’t a quick process, but now the next time someone asks me about the 5-factor framework I created, I can send them this link and not write this all over again! Content builds and compounds over time to be a fabulous marketing arsenal to support you! And whatever you do, don’t stress – you don’t have to do this all today. Start small and snowball with these steps above, you will start to elevate customer service, client connections and reaching new customers honestly, authentically and powerfully. Your challenge – look at your marketing assets and see of the five factors, where you need to do the most work and start there! ← How Wide Should Graphics be For Your Blog?